Youth counseling provides an opportunity to work one-on-one with a counselor to recover from an upsetting experience, explore thoughts and feelings, or for guidance and support when dealing with a difficult issue. Teenagers today are faced with morals and attitudes that are far from the Christian Values they were raised in at home. Thankfully, God promises you and them that He will not allow more to come on you all than what you can handle. This means there is hope, hope in Him and those He has trained to walk your teen into a new found hope and peace. 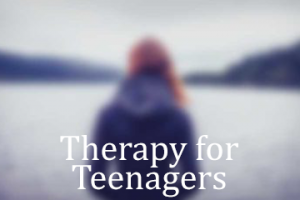 We are here for your teenager, to empower them and help them resolve any emotional issues that may have found a corner in their heart, and is impacting them negatively in their daily life. Many teen issues such as lack of concentration, enthusiasm, self respect, will to change, forward thinking and anger issues are rooted in unresolved pains and traumas of the past. There is no reason to take the effects of those into their adult life when God has provided us freedom from our past, on the cross. Our Christian Counselor, Lisa Winchell, is trained in leading your teen to freedom in Christ and back to hope and peace. We address the body, soul, and spirit in our counseling. Often uncontrollable anger has a root in the nutritional state of the body. We use the Amen Checklist and many other tools to help you and your teen identify if it would be beneficial to further look into the nutritional state of their bodies to gain greater emotional control. We make Dr. referrals for those who need that.